All members of Vietsense Travel are very pleased to serve for you. We will do our best to make your trip satisfactory during your tour. Vietsense Travel provides information and itinerary booking and all the information needed for you to well prepare for the journey. 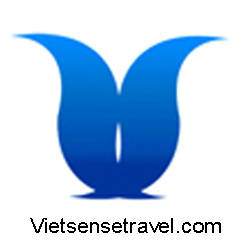 However, the responsibility of VietSense Travel is strictly limited, we shall not be responsible for unreasonable and negligent acts, omissions, or failure to act of any suppliers such as those of land, air, and water transportation, sightseeing excursions, cruise/hotel accommodations, or of any third party not directly owned or operated by VietSense Travel. VietSense Travel shall not be responsible for any personal valuable items stolen or lost during your trip. VietSense Travel shall not be responsible for your failure to comply with customs regulations. VietSense Travel shall not be held responsible for loss, death, physical harm caused to or any expenses incurred by passengers if they deviate from our original tour itinerary or group. VietSense Travel reserves the right to make changes to accommodations, tours, and flights of equal value at any time. If we have cancelled any tour Itinerary prior to the commencement of the tour, VietSense Travel is liable for a full refund of the money received by VietSense Travel to the client. VietSense Travel will do our best to adjust the itinerary according to your needs. However, VietSense Travel is not responsible for conflicts resulting from hotels and transportation booked solely by the client that conflict with the itinerary such as airlines delays. VietSense Travel’s maximum liability, for any reason, will be limited to the amount paid to us for the requested services. VietSense Travel reserves the right to correct pricing errors at any time, or to increase the program price in the event of cost increasing due to changes in airfares, cruise fares, currency fluctuations, park fee increases, taxes, or fuel surcharges. VietSense Travel reserves the right to vary sightseeing order if that will enable you to visit all listed excursions easily. In either case, the itinerary content will be maintained to the extent possible.